With more than 4.5 million bites occurring every year across the country, dog bite liability laws are of huge concern, for both the owners and the victims of attacks. In Philadelphia, the dog bite negligence regulations cover a myriad of things, in order to ensure that victims receive ample coverage for the damage caused by someone’s pet. Thankfully, most victims do not suffer serious injuries, but it can be especially heart-wrenching when an animal’s owner does not even attempt to stop the attack. Full owner liability in a dog attack is almost always a certainty, due to Pennsylvania’s strict dog bite negligence laws. All victims are entitled to medical compensation, regardless of whether the animal has ever shown aggressive tendencies before. The circumstances of the attack are largely irrelevant as well. However, when a victim has severe injuries, he may also be entitled to compensation for other losses, such as loss of wages, pain and suffering, damaged property, and more. The caveat to this, is that the animal must have a previous history of aggression or the victim must prove that the attack was unprovoked, he had a lawful right to be on the property, and that he needed multiple sutures, had broken bones, required plastic surgery, or was left with some other kind of serious injury because of the attack. In short, dog bite liability is almost always assigned to the owner, regardless of whether he attempted to stop the attack or not. Suing for medical injuries is considered a civil case, and it’s between the victim and the animal’s owner, though the owner’s home insurance policy will often pay the final settlement. However, the city, county, or state may also press criminal charges against the animal’s owner for failing to adhere to the local laws. For instance, he may face charges if the animal should have been on a leash at the time of an attack, if he encouraged the animal to attack, or if the animal was subject to Pennsylvania’s dangerous dog laws and he did not follow the mandates. He could also be considered criminally negligent for not attempting to stop the animal from attacking, and cases like this have gone to trial. This came into play during a trial over the death of Penn State graduate Diane Whipple, who was then living in California. The owners, or people responsible for the dogs that attacked Whipple, were convicted of murder in a criminal trial, for failing to stop the attack. In the civil suit, Whipple’s domestic partner was also awarded $1,500,000. 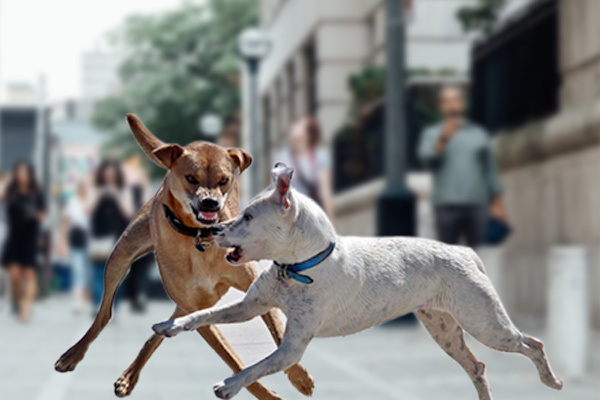 Even though dog bite liability laws in Philadelphia favor the victim, there is a lot involved in proving the extent of the injuries in order to receive a fair settlement that covers any ongoing medical needs, counseling, or other issues that have resulted from the attack. For this reason, it’s important to consult with a competent Philadelphia dog bite lawyer, prior to considering any kind of settlement or attempting to go forward alone on a case. This site is dedicated to helping victims get the information they need, and to connecting them with skilled local attorneys who will fight to ensure the victim does not suffer financially due to a pet owner’s negligence. If you or your child was attacked by someone’s pet, get in touch with one of the lawyers listed here for your no-obligation consultation today.